I have just emerged from a six-book Liane Moriarty feeding frenzy. Why had I never heard of her before? Anyway, I hadn’t and then serendipitously, she turned up in both my real life and my online book clubs – in the same week. Moriarty is an Australian writer whose novel Big Little Lies (I read it) just debuted at number one on the New York Times bestseller list. And I can tell you why: her novels are strongly crafted, but not too artsy; her characters are warm and witty and full of foibles that make you want to be friends with them; her plots are intriguing without being full of red herrings and obvious tropes. My only criticism, and it is a mild one, is that they are the most middle-class books I have ever read. Joanna Trollope has been ousted from the pillar of middle-classery. There is nary a poor person, nor a homeless one, nor one of colour in any of the novels. It’s a world of yummy mummies, intrigue at the school gates and shenanigans in the Sydney suburbs. However, and this is what rescues the novels and I’m sure what has shot Moriarty to the top of the bestseller lists, she writes with such teasing wit that her characters laugh at themselves being middle-class at the gates of Sydney schools – and you laugh with them. Comfort reading at its absolute best. So having sadly finished Moriarty’s entire oeuvre, I wrote to an Australian friend asking if she knew her. She didn’t but she did recommend the next writer into whose work I am now diving – Elena Ferrantes. An Italian whose work was first translated into English in 2012, Ferrantes has become a writing sensation. Described as an angry Jane Austen (you had me at that), Ferrantes has caught the public’s imagination as she refuses to do any publicity or put a face to her name (and she writes superbly). According to Wikipedia, she has admitted that she is a mother, which means she probably is female. I am reading the first of her Neapolitan novels My Brilliant Friend, and have the second and third ready to go on my e-reader. Things are dark and dreary in Ferrante’s work, there is relentless poverty but there are souls that shine out of the darkness. There will be a binge, I can predict it. Since it is Christmas and things come in trios (wise men, etc), I have a third writer in mind. Both my mother and brother have devoured the Patrick O’ Brian novels, and he has named his Lab puppy Jack Aubrey. In honour of the less famous Jack, I plan to read these next. Do you have any writers upon whose work you binge? Categories: Books, Reading, Reviews, writers | Tags: Australian writer, Elena Ferrantes, Joanna Trollope, Liane Moriarty, online book clubs | Permalink. Charlotte, Balthasar’s Gift: A Maggie Cloete Mystery, is a terrific debut, one that strikes a neat balance between lively pacing and frenetic action and carefully considered social commentary. Why did you decide that the crime fiction genre was appropriate for the story you wanted to tell, one that returns to South Africa under the presidency of Thabo Mbeki? Thanks for your kind words, Jonathan. I always knew that the first book I was going to write would deal with the way Thabo Mbeki’s presidency refused to face up to HIV/AIDS and thus consigned a generation of people to their death, not to mention depriving hundreds of thousands of children of the love and protection of their parents. It was and continues to be such an acute tragedy – and one which South African fiction writers have up to this point largely ignored. The first draft was literary fiction, written from the points of view of Lindiwe, Sanet and Francois Bezuidenhout’s wife Samantha. The very bare bones of the story were laid down. Then, one dark and rainy night, as I drove my sleeping family home from Berlin, it dawned on me that the best way to tell the story was as crime fiction and that it needed to be told from the perspective of a journalist, who could both pursue the murderer and frame the story for the reader. That was the night that Maggie was born. How did your previous experience in the field as a former journalist relate to or influence your approach in writing fiction? How did your research make the writing easier? I was very happy to use my experience as a journalist in South Africa in the early 1990s to flesh out Maggie’s work life. I was a very impressionable 18-year-old when I first worked in a newsroom at The Natal Witness, and the newsroom politics, strife between the journalists, competition for headlines and bylines really struck me. I was quite starstruck by some of the journalists I worked with, especially the investigative reporters who, along with the photographers, seemed so tough and cool. I was such a novice, and the newsroom is a sink-or-swim environment, but so many of them kindly saved me from drowning. There is a huge difference between writing news and writing fiction. Although I have always earned my living as a writer, I started writing Balthasar’s Gift only when I turned 39, because the idea of writing creatively was very scary. It took me many years to get up the courage to really commit to writing a novel. My reading tends to err towards literary fiction, so I always imagined that I would write with great literary flourishes. It surprised me, as I churned out the drafts of Balthasar’s Gift, that my style was quite spare. One day, I hope to write literary fiction with long run-on sentences, deep metaphors and burning ideas. I don’t think the research made my writing easier, but it helped with two things: getting the facts right and developing empathy both for people who have HIV/AIDS and for their carers. Here’s the rest of the interview. Read Jonathan’s review of BG here. Categories: Balthasar's Gift, Interviews, Reviews | Permalink. Eat, Pray, Love was a Marmite book. Some loved it, others hated it. I was amongst the lovers. But that aside, the raging success of E,P,L gave Gilbert the money and time to research and write The Signature of All Things, which is the book she was born to write. It is the big, bold, open-hearted story of Alma Whittaker, a nineteenth century botanist whose research takes her in the same direction as Charles Darwin’s. Gilbert says she was inspired by Hilary Mantel’s Wolf Hall, in which the author writes historical fiction with a modern sensibility. This was exactly what I loved about Gilbert’s novel. I also loved it on sentence level. There was deep, deep sentence jealousy. Lauren is a superbly talented South African writer. Her last couple of books have gone to auction at Frankfurt Book Fair and earned her huge advances. She is a genre-busting wild child, presently sporting pink hair. Her latest is set in Detroit and focuses on the efforts of a female detective to find a serial killer. What starts as a crime novel spirals into a deftly managed horror story. It is vast in imagination and bold in its reflection of the twenty-first century sensibility, replete (in a good way) with Facebook posts, Reddit conversations and journalists manipulating the Internet for cheap fame. Stephen King should look to his laurels. Loved this. Marx’s big-hearted youngest child got most of her schooling at her father’s feet, and grew up to be a tireless trade unionist, journalist, writer and campaigner before committing suicide in her forties. She forced the suffragettes to consider working women in their campaigns, forced British trade unionism to be more international and fought on every side for workers’ rights. She is a fascinating human being and Holmes does a great job bringing her to life. If we’re talking modern sensibility, then Tussy (as was her nickname) was the epitome of this with her absolute refusal to countenance the mores of her time. I am an unabased Toews fan. I love everything she writes, mostly because no matter how tragic the subject matter, it is always thread through with dark dark humour. The same goes for her latest novel, about two sisters, emotional refugees from the Canadian Mennonites, who have gone on to make their lives outside the sect – Elfrieda as a concert pianist, and Yolanda as a messed-up normal person. Most of the story is told at Elfrieda’s bedside in a mental institution where she is recovering from her latest suicide attempt and contemplating her next. Witty, tragic, beautiful. This book is hard not to love. Categories: Books, Reading, Reviews, Uncategorized | Tags: All My Puny Sorrows, Broken Monsters, Eleanor Marx: A Life, Elizabeth Gilbert, Lauren Beukes, Miriam Toews, Rachel Holmes, The Signature of All Things | Permalink. Ute Carbone and I hang out in the same writers’ space. 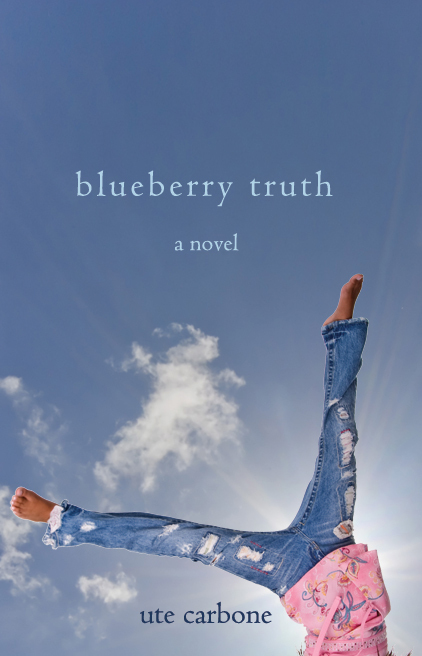 When her first novel, Blueberry Truth, was published by Etopia Press in 2011, I remember remarking on the gorgeous cover and making a note to myself to read it. Two years later, I got off my backside and did so – and what a reward it was! Blueberry Truth is an exuberant, delightful story about Verbena (Beanie), her quartet of sisters and a damaged little girl called Blueberry who takes Beanie’s heart. Ute writes with a warmth and charm that bubble up through her storytelling and which make the reading experience truly effortless. It is a special skill, which I love as a reader and which, as a writer, makes me pretty envious. Ute was kind enough to come and join me at Charlotte’s Web for a chat about her novels – there are many! I’ve just finished reading Blueberry Truth, which I loved. Correct me if I am wrong, but it was your first published novel. Was it the first novel you wrote or do you have manuscripts under the bed? Hi Charlotte, I’m tickled that you liked Blueberry! It was my first published novel, but actually the fourth I’d written. I’ve got a large pile of work under the bed. I’m slowly, but I hope surely, starting to dust off some of those manuscripts and put them out into the world. Of Blueberry’s predecessors, two of the three manuscripts are still tucked into the back of the closet, collecting dust. The other, a women’s fiction called Dancing in the White Room, is under contract and is scheduled for release in March of next year. Dancing in the White Room is a gorgeous title. Do you always use colours in your titles? Thanks Charlotte. No, not all of them have colors. Though now that you’ve mentioned it, maybe from now on… Actually, the title for this comes from a ski term. It’s a book set around skiing, the main character’s significant other is an extreme skier. For a long time, I didn’t know what to call it, it was ‘the ski story’ on my computer, and then I came across Dancing in the White Room, which is slang for skiing through powder snow so deep you can’t see anything but white. It was kismet. I knew I had found a title. Who me, scared? She said while looking over her shoulder and biting her lip. I’m a big ‘fraidy cat when it comes to writing. Facing a blank page is always scary. There’s a fear that the story won’t work out as I’d envisioned it–and honestly, it seldom does. And the fear that it won’t be as wonderful as it is when it’s just a kernel of an idea floating around in my head–and truly, it’s never as brilliant. Once I get past those fears and have managed to write the story, there’s the fear of sharing, a fear that I’ll be like those singers on the talent shows, the ones who can’t hold a note but think they can, who get up there and bravely sing off key while the rest of the world wonders why they ever thought they could sing. I read somewhere that if you’re not at least a little scared when you write, then you might not be doing it right. I try and keep that in mind. Face the fear and do it anyway is my motto too. Now, tell us about your other published novels. It’s gotten to be a long list, Charlotte. I’ve been very lucky to have found some small publishers who like what I write. These past few years I’ve gotten to polish up some of those old manuscripts we talked about earlier and get them out into the world along with some newer works. So, let’s see. I’ve got three romantic comedies available through Champagne Books. The P-Town Queen is a wild romp of a story about a shark researcher who has lost her grant money, gotten a divorce and is living with her retired fisherman father in Provincetown (P-Town) Massachusetts and a guy who is running from a mob boss hit by living under an alias and pretending to be gay (P-Town has a vibrant gay community). Afterglow is chick lit with a bit of a twist. The main character is a kindergarten teacher in her fifties who finally asks her philandering husband of 30 years for a divorce. Through the course of the book, with the help of a slightly crazy best friend and a love affair with a much younger man, she gets back on her feet again and finally, once and for all, learns to stand up for herself. Searching for Superman is the more traditionally romantic of the three, though it still has a lot of quirky characters. The lead is a young woman who is looking for the perfect man–a guy a lot like superman. She meets an ordinary guy dressed as superman for a kid’s birthday party and figures he’s not the real deal. But, of course, he’s just the right guy for her. The book is set in and around and old theater that teaters on the edge of being torn down. Then I have a trilogy of short stories called The Lilac Hour available through Turquoise Morning Press. The stories are love stories and they are linked in that the main characters are women from three generations of the same family. I’m currently working on a historical novella series. The novellas all revolve around the same two characters– the daughter of a wealthy ship builder and a sea captain. The books are set in and around clipper ships in the 1850s. It’s a real departure for me to write, but I love being able to stretch my wings and try new things. The first two parts of the series, Sweet Lenora and To the Wind, are available through Champagne. The third part comes out next year, in April. Part four currently resides in my head and I’ll soon have to sit down and commit it to words. And, if that weren’t enough, I have two books coming out next year. Dancing in the White Room, which I’d mentioned earlier, comes out with Turquoise Morning Press in March. It’s women’s fiction, with a strong female protagonist (I love strong female characters) and is set in Lake Placid, NY (not too awful far from where I grew up) The main character is a ski patrol woman who is living with an extreme skier who likes to take death defying risks. It’s a lot about whether or not this is a love worth keeping and at what price. Confessions of the Sausage Queen is the craziest book I’ve written to date, with an ensemble cast of quirky characters who run willy nilly through the pages in an effort to save a small town’s biggest employer, the local sausage factory. It comes out with Champagne Books in July of next year.Then, of course, there are the manuscripts unfinished on my computer, the ideas still in my head, and three novels, several shorts and a few novellas still in the back of the supply closet. I’m going to have to live to a hundred to get to everything. Even then, I’ll probably still have a pen in my hand because I won’t be done. Not so much prolific as stubborn. I try to write at least a something everyday. For years, I wrote in little chunks of time, late at night after everyone was asleep, or while waiting for an appointment, and so on. I taught a writing workshop, so that kept me in good writing form. Currently, I don’t have a full time job and my kids are both grown, so I have more time to devote to writing. Balance has always been a problem, though. More recently, the challenge is carving out the time and space to write with all the other things that go along with being an author–doing edits, writing promotional pieces, and keeping up a blog and a website. Well, while we’ve been talking I’ve downloaded and started reading The P-Town Queen, so you have a new fan. Thank you so much for the lovely chat. Thank you, Charlotte. It’s been a pleasure chatting with you. I hope you enjoy The P-Town Queen. Ute’s books can be found at Barnes and Noble and Smashwords. Her website is here and her blog is here. You can find her on Facebook and follow her on Twitter. Categories: Authors, Books, Conversations with Writers, Reading, Reviews | Tags: Afterglow, Blueberry Truth, Confessions of the Sausage Queen, Dancing in the White Room, Etopia Press, Searching for Superman, The Lilac Hour, The P-Town Queen, Ute Carbone | Permalink. Patricia Dusenbury is my publication day sister. 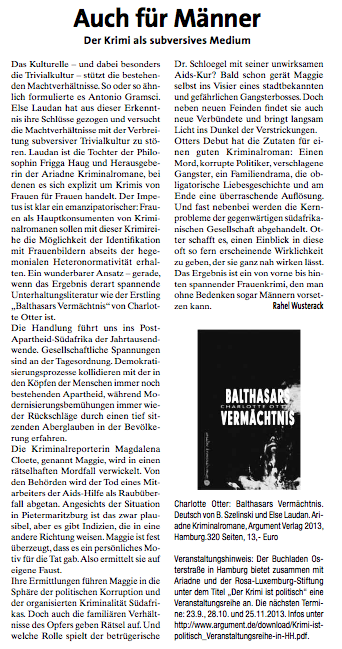 Our debut crime novels launched on the same day – mine in German and in print, hers in ebook form to the world. Pat’s novel, A Perfect Victim, is an elegant crime thriller that tells the story of Claire Marshall, a professional house restorer who is caught in a web of deceit, lies and fear when one of her clients dies. Still coping with the untimely and tragic death of her husband in a house fire, Claire is emotionally bereft and struggles to cope with daily life, let alone becoming prime suspect in a murder case. Set in the suburbs of New Orleans, A Perfect Victim is spare and evocative. It is also the first in a trilogy featuring Claire Marshall. I asked Pat some questions about her writing process and the route to publication. 1. Pat, thanks for joining me at Charlotte’s Web. Uncial Press just published A Perfect Victim. Is this your first novel or do you have a couple of manuscripts under the bed? APV is my first novel and I have about one and a half more written. Together they are a trilogy, following Claire Marshall, my protagonist as she recovers from the shock of her husband’s sudden death and builds a full life for herself. Each book is also a murder mystery, and the last two include elements of romance. 2. How long did APV take you to write? And are you a planner or a pantser? I wrote APV on and off for ages and as a total pantser with no idea what I was doing. About five years ago, I finished it, wrote off to lots of agents, and started writing a sequel. I went back and forth with an agent for almost a year, meanwhile working on book #2. The agent eventually lost interest, but by that time I had two books and parts of the third. By then, I’d learned a bit; for example, you probably should put your first novel in a drawer and leave it there. It’s a learning experience. But I didn’t want to put two and a half books in a drawer, so I went back and totally rewrote APV. This version was accepted for publication by Uncial Press. APV has changed a lot since that first version. My approach to writing also has changed, and now I’m more of a planner. 3. What is your relationship with writing? It is something you came to late, or have you always loved it? I enjoy writing, and have always written something. Over the years, work required me to write lots of reports, analyses, even an occasional political speech. After completing an especially dry document, I would joke about owing the world a poem, but when the time came I decided to write a mystery because I’ve always read mysteries. This turned out to be a lot harder than expected. The difficulty plus the vast room for improvement keeps me engaged. 4. Writers tend to be avid readers. Which are your top five books? My all time favorite book is The Master and Margarita by Mikhail Bulgakov. Other favorites change over time. Today the next four would be Bel Canto, To Kill a Mockingbird, A Prayer for Owen Meany, and In the Lake of the Woods. My favorite genre is mysteries, and I’m a huge fan of Donna Leon, Dennis Lehane, Michael Dibdin, John LeCarre and Kate Atkinson to name my current favorites. 5. I love Kate Atkinson too! You talk about many rewrites with APV. Where do you find the energy, the resource inside yourself to keep going? I have a head like a rock, perhaps from beating it against brick walls until the walls crack. My husband assures me this can be very annoying. However, it kept me going through the multiple rewrites. 6. What are your top tips to aspiring writers? I would advise aspiring writers, myself included because I aspire to get better, to listen to what people you respect say about your writing and think about the best way to use their advice. Find out more about Pat and her books on her blog: patriciadusenbury.com. As an economist, she was responsible for writing numerous dry reports and is now trying to atone for that by writing novels that amuse and engage the reader. She has been married to the same man for about a million years and lives with him and two Alaskan Malamutes in Atlanta, Georgia. They met on a blind date. Pat is not on Twitter, as she is busy hoping it is a passing fad. 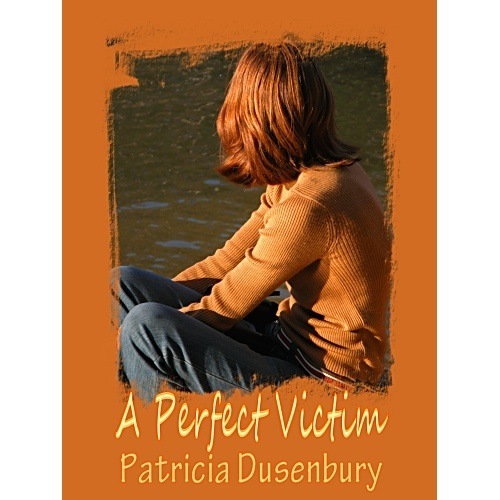 Categories: Books, Conversations with Writers, Crime fiction, Reading, Reviews, writers, Writing | Tags: A Perfect Victim, Patricia Dusenbury, Uncial Press | Permalink. In the twenty years since democracy, there has been a groundswell of South African literature. Once two behemoths – Gordimer and Coetzee – strode the land, but the freedom of the new South Africa has brought a freedom of creative thought and a wave of writing. Now we have South African crime fiction (rivaling that of the Scandis, so I hear from reliable sources), South African romance and young adult fiction, South African distopian fiction and even South African chick lit. Margie Orford, Deon Meyer and Lauren Beukes are household names to book lovers. I have recently read two South African debut novels that are worth mentioning in their similarity of purpose. Both are novelisations of true events. In both books, the writer is both narrator and character, writing fiction out of fact. The first is called False River and it is written in English by Dominique Botha, whose mother tongue is Afrikaans. False River tells the achingly tragic story of her older brother Paul, a poet and renegade whose brilliance could not be contained by an ordinary life and who died of an overdose in London when he was 27. As the first two of five children, Dominique and Paul were allies. The novel charts both Paul’s trajectory and Dominique’s as she goes from being adoring little sister to anxious guardian to one of his mourners. False River is beautifully written. It contains passages of such breathtaking poetry, so deeply anchored in the landscape I know and love, that it is worth reading for the language and imagery alone. If Paul was a poet, Dominique is one now. Time flies and time stands still. We pass through time. She is not swayed by us. The vlei spills into the pan. A moorhen glides. Willows drop braids into water. Buried flowers in the darkened garden strain against the soil. By sunrise all the women from the stat were sweeping and cleaning around the house. They had come unbidden. Ma stood by the window watching them. Martha edged her upstairs to change. The protocol of solace marked the hours. The second novel from fact I have recently read is One Green Bottle by Debrah Anne Nixon. The narrator is a woman named Jennifer Hartley, whose idyllic life on a KwaZulu-Natal farm is marred by a series of panic attacks that eat away at her self-esteem and grip on reality. She is hospitalised in a local psychiatric ward. The novel charts her series of stays on the ward, the people she meets and endures there and, after losing her marriage and custody of her children, her eventual tentative recovery and release. One Green Bottle is a searing account of mental illness and does a brilliant job of evoking the hopelessness of those caught in its coils. While it is less obvious than with False River that the narrator and the author are one, there are clues. The novel is dedicated to ‘fellow sufferers of mental ailments’, the main character writes pages of a novel while she is incarcerated and an afterword from a psychiatrist talks of Nixon’s struggle and catharsis. However, for me it became evident in Nixon’s descriptions of ward life that this was no creative imagining of the despair, bleakness and grinding exhaustion that is long-term mental illness. I had to put the book down several times while reading, in order to regain the energy I needed to go back into the wards. Despite her simple sentence structure and compassionate and often loving descriptions of Jenny’s fellow inmates, Nixon pulls no punches. She is brutally honest and reveals a system that is failing its patients, both at a structural level and in the inability of psychiatry to do much more than throw experimental cocktails at their patients in the name of healing. Categories: Books, fiction, Literature, Reading, Reviews, South Africa | Tags: Debrah Anne Nixon, Dominique Botha, False River, One Green Bottle | Permalink. Link to the Unsere Zeit online magazine. Categories: Balthasars Vermaechtnis, Books, Crime fiction, Reviews | Permalink.